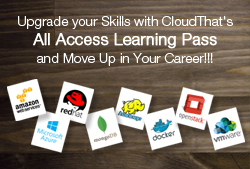 CloudThat Blog is the best resource for AWS, Cloud and Big Data new and information. Microsoft recently announced AI certification named Designing and Implementing an Azure AI Solution (AI-100). Expected date of release is 15th March 2019 however you can still attempt it in beta. AI-100 Certification is for engineers who have intermediate to expert level understanding of Machine Learning and are responsible for deploying end-to-end AI solutions on Azure using various AI & ML services. Microsoft recently released new role-based certifications for Azure. These are named as AZ-100, AZ-101, (AZ-200, AZ-201) AZ-203*, AZ-300, and AZ-301. If you need more information about the entire series, then read more about them here New Role-based Azure Certification & Training Tracks from Microsoft. This is an update to my last blog article where I wrote about New Role-based Microsoft Azure Certification & Training Tracks. If you did not get a chance to read it, please do. In my previous article I wrote about the Microsoft Certified Azure Administrator Associate track, which replaces the Microsoft Exam 70-533. Since then two new role-based certification tracks have been released, each containing 3 exams and two paths to achieve them. At the recent #MSInspire, Microsoft introduced a revamp to its Azure Certification tracks. Existing Azure exams were becoming very broad in scope with the increasing number of services being added to Azure portfolio that required candidates to know all of it which becomes practically impossible at some point. How to secure website hosted on AWS with free SSL Certificate from AWS Certificate Manager (ACM)? When we have a website that requires user to login or provide any sensitive financial information, how far do our customers trust the website to provide such information? We have come across so many incidents where the credit card numbers are hacked & misused. Do our customers ever verify if the website they’re planning to make payments at are secured & trust-worthy? AWS certifications are one the most in demand certifications. But the sheer number and types of certifications can be daunting to understand for many professionals. In the below video, I have tried to explain the AWS certifications in detail. How to integrate Java Application with Amazon MQ? Messaging mediates communication among different parts of distributed system or applications, also eliminating the need for understanding application’s design in order to exchange messages. There are numerous open source message broker tools available in the market, which can be used for messaging applications. NoSQL Options – Which one is the best Choice? If one looks at nosql-database.org, there are more than 200 NoSQL databases registered and it keeps increasing. This article would help with the question – ‘Which one is the best Choice?’. Well, the answer would be ‘It Depends’. If this brings forth a frown, it is understandable.